The primary role of the bicep tendons is to attach the bicep muscle to both the shoulder and the elbow and allow for the rotation and extension of the arm. When this tendon becomes torn a sudden “pop” is usually heard followed by sharp pain and swelling. The pain may subside over time but this does not mean the injury has healed. Bicep tendon tears can occur in two different ways- 90% of bicep tendon tears occur from the shoulder where the bicep muscle is torn from the shoulder. Less often, the bicep tendon is torn at the elbow. Both of these injuries can occur as partial or complete tears and treatment options will always depend on the severity of the injury. A healthy fitness routine that includes weightlifting is one of the most effective and gratifying ways to improve your body. However, exercises such as curls and deadlifts can increase the risk of a biceps tendon injury if not performed correctly. 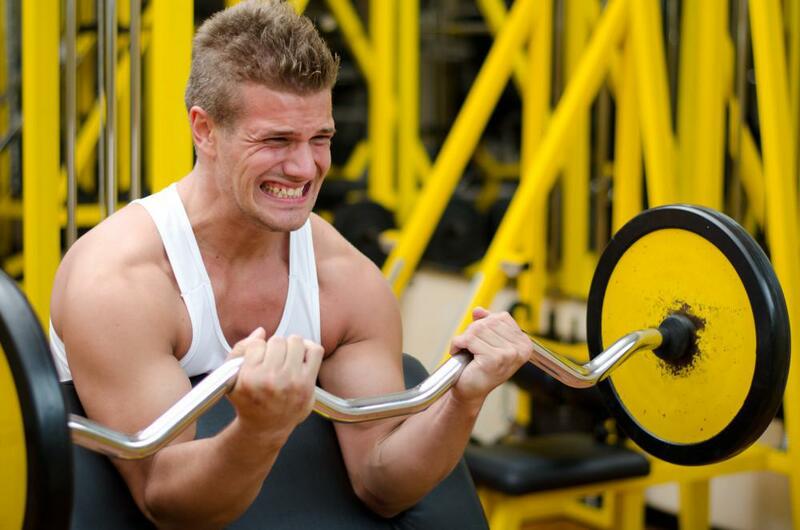 Overexertion or excessive weight during a set of curls is a leading cause for biceps tears and it is one of the primary ways this type of injury can occur. It is important to know that the body has limits and ensuring that the right weight for you is being used all of the time. Simply put, the older you get, the more wear and tear you put on your body. As a result of the aging process, tendons can grow weaker as age settles in. Although, bicep tendon tears occur across the landscape of all ages, it is more common this injury occurs in men around over the age of 30. Again, it is important to reiterate that the person at risk must understand the limitations that their body holds against them. Any sort of activity that can overexert these aging tendons can run the risk of a tear. A bicep tendon tear can be a progressive injury that occurs slowly as the tendon begins to fray as a result over repetitive motions. These repetitive motions can cause small microtraumas to the tendon and cause it to slowly weaken and eventually tear. For those engaged in occupations or sports that require excessive lifting, repetitive overhead motions or pushing and pulling the risk of this injury is often higher. This injury is common among those who work in contracting and labor as the physical nature of these jobs can cause repetitive microtraumas. Dr. Michael Russonella is a Board Certified Orthopedic Surgeon who specializes in both surgical and non-surgical treatments for bone and joint injuries. Dr. Russonella’s dual training in both Orthopedic Surgery and Sports Medicine create a unique treatment plan for all of his patients that is based on the habits, goals and activity level of the patient. New Jersey Orthoapedic and Sports Medicine Institute serves both athletes and non-athletes from across New Jersey and is conveniently located in Clifton, NJ. If you, or someone you love, is suffering from a bone or joint injury, contact us today!